Distribute 1 CHANNEL of any HDMI Video up to 1080p Full HD & Dolby Audio, to an unlimited number of television over the existing TV Coax Cables, with perfect FULL HD 1080P digital quality at any distance. There is no need for any new cables nor accessory behind each tv, so the installation is very simple, immediate, plug 'n play anywhere, perfect for any application. Set the wanted channel names & position numbers, then rescan all TVs to find the VECOAX Channels as new available HDTV TV Channels. Expand the number of channels at any time by simply adding more VeCOAX modulators on the same coax. 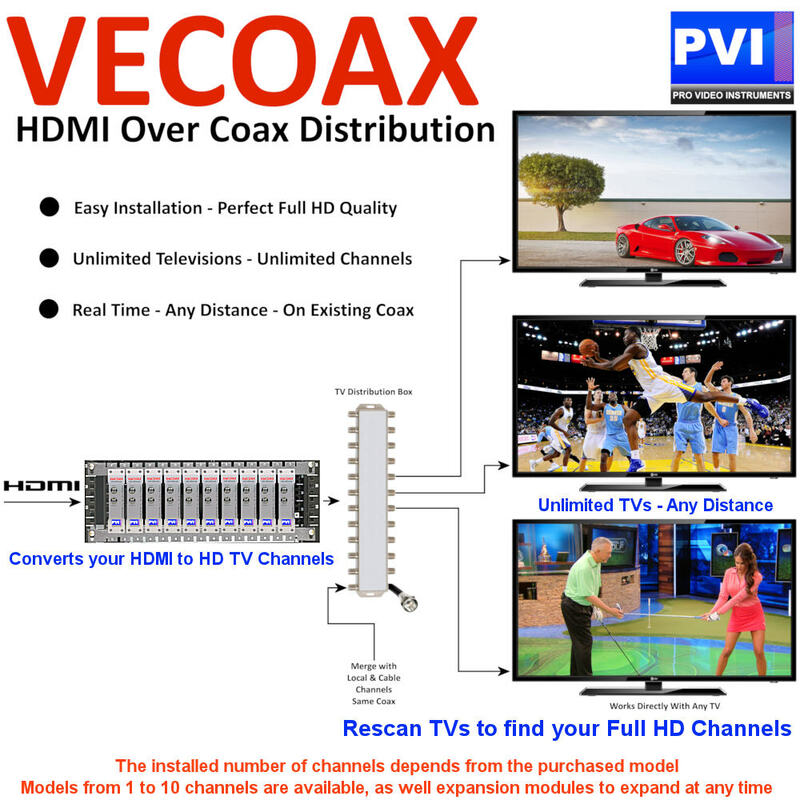 The PVI VeCOAX HD Modulators are compatible to any HD Video Source & HD Television, limitless, Made in USA with Free Unlimited Tech Support and 5 Year Warranty. VECOAX MINIBLADE-1 is a Modular Expandable Single channel HDMI Modulator to channels, expandable to 10 channels / modules, to distribute HD Video Over coax to an unlimited number of TVs with real time perfect quality at any distance. There is no need for any new cables nor accessory behind each tv, so the installation is very simple, immediate, plug 'n play anywhere, perfect for any application. Set the wanted channel names & position numbers, then rescan all TVs to find the VECOAX MINIBLADE-1 Channels as new available HDTV TV Channels. Expand the number of channels at any time by simply adding more VeCOAX MINIBLADES modulators on the same coax. The PVI VeCOAX MINIBLADE-1 HD Modulators are compatible to any HD Video Source & HD Television, limitless, Made in USA with Free Unlimited Tech Support and 5 Year Warranty. VECOAX MINIBLADE-2 is a Modular Expandable Two channels HDMI Modulator to channels to distribute HD Video Over coax to an unlimited number of TVs with real time perfect quality at any distance. There is no need for any new cables nor accessory behind each tv, so the installation is very simple, immediate, plug 'n play anywhere, perfect for any application. Set the wanted channel names & position numbers, then rescan all TVs to find the VECOAX MINIBLADE-2 Channels as new available HDTV TV Channels. Expand the number of channels at any time by simply adding more VeCOAX MINIBLADES modulators on the same coax. 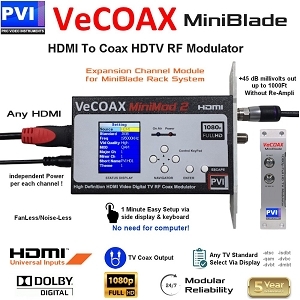 The PVI VeCOAX MINIBLADE-2 HD Modulators are compatible to any HD Video Source & HD Television, limitless, Made in USA with Free Unlimited Tech Support and 5 Year Warranty. VECOAX MINIBLADE-3 is a Modular Expandable Three channels HDMI Modulator to channels to distribute HD Video Over coax to an unlimited number of TVs with real time perfect quality at any distance. There is no need for any new cables nor accessory behind each tv, so the installation is very simple, immediate, plug 'n play anywhere, perfect for any application. Set the wanted channel names & position numbers, then rescan all TVs to find the VECOAX MINIBLADE-3 Channels as new available HDTV TV Channels. Expand the number of channels at any time by simply adding more VeCOAX MINIBLADES modulators on the same coax. 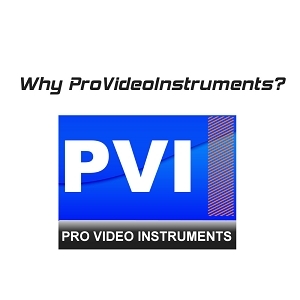 The PVI VeCOAX MINIBLADE-3 HD Modulators are compatible to any HD Video Source & HD Television, limitless, Made in USA with Free Unlimited Tech Support and 5 Year Warranty. VECOAX MINIBLADE-4 is a Modular Expandable Four channels HDMI Modulator to channels to distribute HD Video Over coax to an unlimited number of TVs with real time perfect quality at any distance. There is no need for any new cables nor accessory behind each tv, so the installation is very simple, immediate, plug 'n play anywhere, perfect for any application. Set the wanted channel names & position numbers, then rescan all TVs to find the VECOAX MINIBLADE-4 Channels as new available HDTV TV Channels. Expand the number of channels at any time by simply adding more VeCOAX MINIBLADES modulators on the same coax. 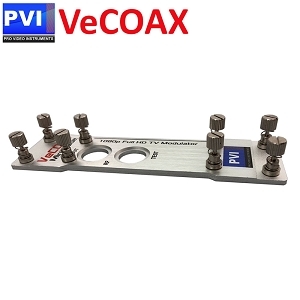 The PVI VeCOAX MINIBLADE-4 HD Modulators are compatible to any HD Video Source & HD Television, limitless, Made in USA with Free Unlimited Tech Support and 5 Year Warranty. VECOAX MINIBLADE-5 is a Modular Expandable NINE channels HDMI Modulator to channels to distribute HD Video Over coax to an unlimited number of TVs with real time perfect quality at any distance. There is no need for any new cables nor accessory behind each tv, so the installation is very simple, immediate, plug 'n play anywhere, perfect for any application. Set the wanted channel names & position numbers, then rescan all TVs to find the VECOAX MINIBLADE-5 Channels as new available HDTV TV Channels. Expand the number of channels at any time by simply adding more VeCOAX MINIBLADES modulators on the same coax. The PVI VeCOAX MINIBLADE-5 HD Modulators are compatible to any HD Video Source & HD Television, limitless, Made in USA with Free Unlimited Tech Support and 5 Year Warranty. VECOAX MINIBLADE-6 is a Modular Expandable Six channels HDMI Modulator to channels to distribute HD Video Over coax to an unlimited number of TVs with real time perfect quality at any distance. There is no need for any new cables nor accessory behind each tv, so the installation is very simple, immediate, plug 'n play anywhere, perfect for any application. Set the wanted channel names & position numbers, then rescan all TVs to find the VECOAX MINIBLADE-6 Channels as new available HDTV TV Channels. Expand the number of channels at any time by simply adding more VeCOAX MINIBLADES modulators on the same coax. 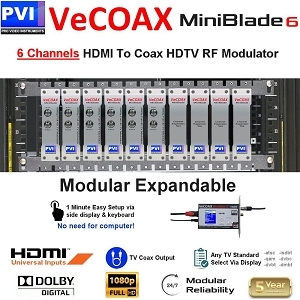 The PVI VeCOAX MINIBLADE-6 HD Modulators are compatible to any HD Video Source & HD Television, limitless, Made in USA with Free Unlimited Tech Support and 5 Year Warranty. VECOAX MINIBLADE-7 is a Modular Expandable Seven channels HDMI Modulator to channels to distribute HD Video Over coax to an unlimited number of TVs with real time perfect quality at any distance. There is no need for any new cables nor accessory behind each tv, so the installation is very simple, immediate, plug 'n play anywhere, perfect for any application. Set the wanted channel names & position numbers, then rescan all TVs to find the VECOAX MINIBLADE-7 Channels as new available HDTV TV Channels. Expand the number of channels at any time by simply adding more VeCOAX MINIBLADES modulators on the same coax. 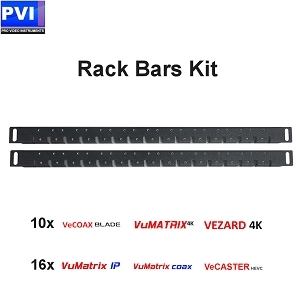 The PVI VeCOAX MINIBLADE-7 HD Modulators are compatible to any HD Video Source & HD Television, limitless, Made in USA with Free Unlimited Tech Support and 5 Year Warranty. VECOAX MINIBLADE-8 is a Modular Expandable Eight channels HDMI Modulator to channels to distribute HD Video Over coax to an unlimited number of TVs with real time perfect quality at any distance. There is no need for any new cables nor accessory behind each tv, so the installation is very simple, immediate, plug 'n play anywhere, perfect for any application. Set the wanted channel names & position numbers, then rescan all TVs to find the VECOAX MINIBLADE-8 Channels as new available HDTV TV Channels. Expand the number of channels at any time by simply adding more VeCOAX MINIBLADES modulators on the same coax. The PVI VeCOAX MINIBLADE-8 HD Modulators are compatible to any HD Video Source & HD Television, limitless, Made in USA with Free Unlimited Tech Support and 5 Year Warranty. VECOAX MINIBLADE-9 is a Modular Expandable Nine channels HDMI Modulator to channels to distribute HD Video Over coax to an unlimited number of TVs with real time perfect quality at any distance. There is no need for any new cables nor accessory behind each tv, so the installation is very simple, immediate, plug 'n play anywhere, perfect for any application. Set the wanted channel names & position numbers, then rescan all TVs to find the VECOAX MINIBLADE-9 Channels as new available HDTV TV Channels. Expand the number of channels at any time by simply adding more VeCOAX MINIBLADES modulators on the same coax. The PVI VeCOAX MINIBLADE-9 HD Modulators are compatible to any HD Video Source & HD Television, limitless, Made in USA with Free Unlimited Tech Support and 5 Year Warranty. VECOAX MINIBLADE-10 is a Modular Expandable Ten channels HDMI Modulator to channels to distribute HD Video Over coax to an unlimited number of TVs with real time perfect quality at any distance. There is no need for any new cables nor accessory behind each tv, so the installation is very simple, immediate, plug 'n play anywhere, perfect for any application.  Set the wanted channel names & position numbers, then rescan all TVs to find the VECOAX MINIBLADE-10 Channels as new available HDTV TV Channels. Expand the number of channels at any time by simply adding more VeCOAX MINIBLADES modulators on the same coax. The PVI VeCOAX MINIBLADE-10 HD Modulators are compatible to any HD Video Source & HD Television, limitless, Made in USA with Free Unlimited Tech Support and 5 Year Warranty.